This year at the American Council of Engineering Companies of Missouri, Schultz and Summers Engineering received an award for their work in Hayti, Missouri. Hayti was in need of an upgrade in their water infrastructure, as their 90-year-old pipes were delivering drinking water laden with iron and manganese. Schultz and Summers Engineering helped attain the necessary financial support and designed an innovative water treatment system with along with cost effective distribution system upgrades. The City of Hayti was approved for a federal stimulus grant of more than $3 million, and production soon followed. 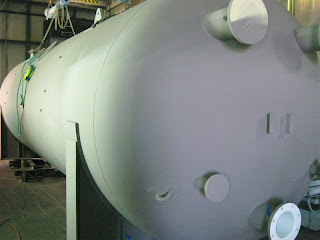 The water treatment plant used Tonka pressure filters for iron and manganese removal. 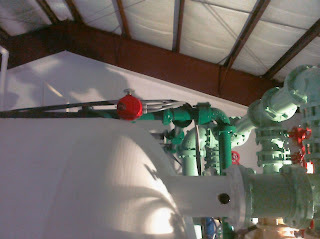 Two horizontal pressure filters were supplied for the application, featuring end-piping, header-lateral underdrains, and air scour to enhance backwash. The Hayti project was completed under budget by about $500,000. The community used the difference to fund finance some street repairs, as well as a new fire truck and police car. The city of Hayti couldn’t be happier with the great results. Congratulations to Schultz and Summers Engineering for their award!